We continue our celebration of the Snohomish Aquatic Center, located on the site where the Ferguson family home and farm once stood, with this story of Sylvia Ferguson’s marriage into early Snohomish’s leading Democratic family at a time when politics mattered most. 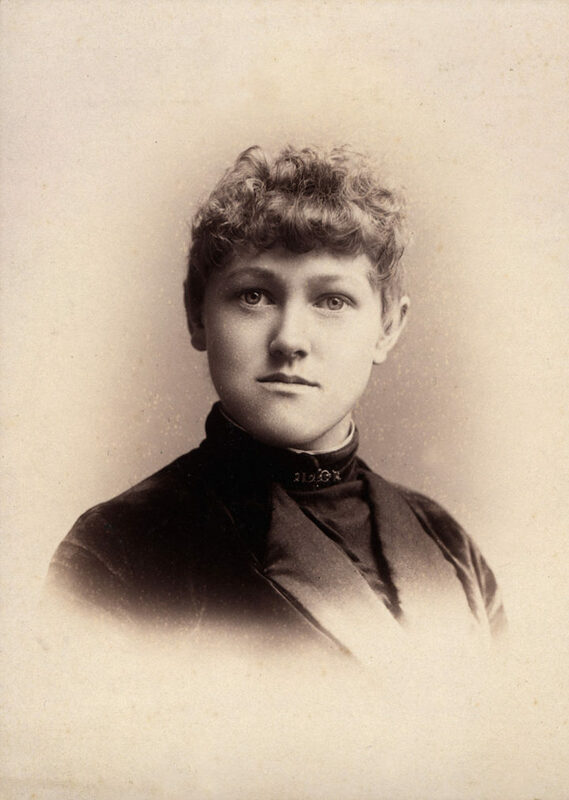 Not only was Sylvia raised in a solid Republican home, but her father, E. C. Ferguson, had just been through the bruising incorporation battle of 1890, that ended with him losing the mayoral election in a stunning upset to Hycranus Blackman, Democrat, and her future husband’s uncle. However, Blackman’s duration in office lasted only until the regular election later that year, when Ferguson was returned to office. 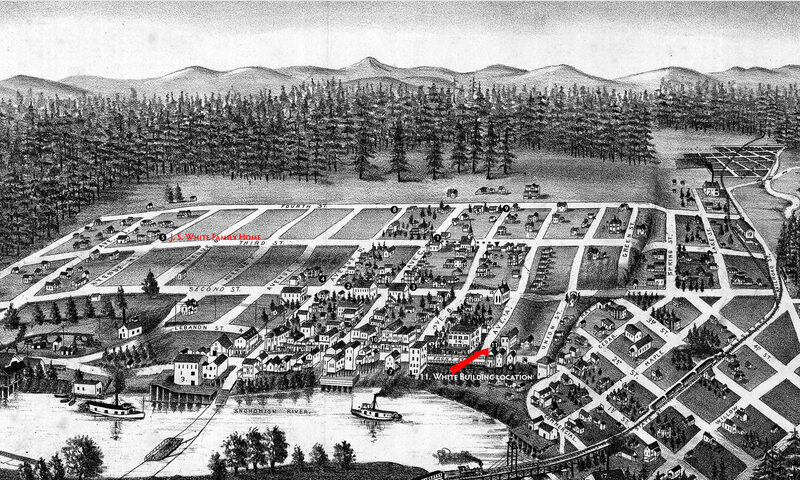 Elmer Lenfest, along with his parents, Mary and Eugene, arrived in Snohomish the year Washington gained statehood. 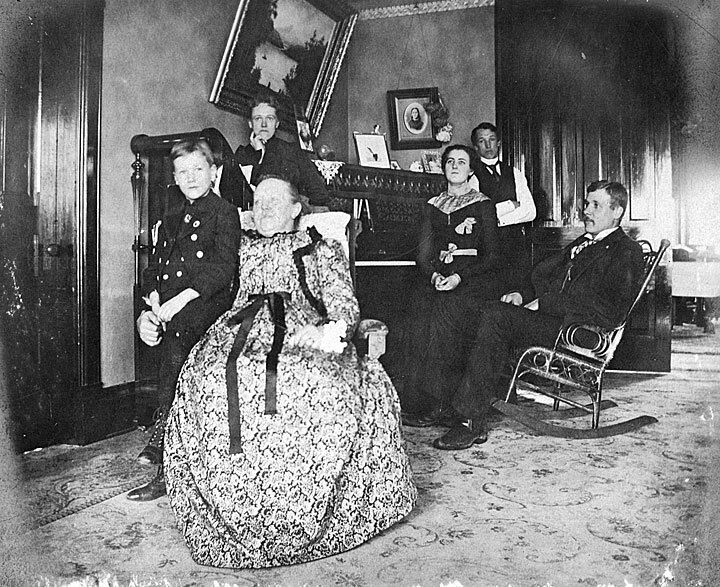 Mary Ursula was the older sister of the famous lumbermen, the Blackman Brothers, who moved to Snohomish in 1872 from Maine and six short years later each brother had a home on Avenue B. Only Hycranus’s has survived to become the Blackman House Museum at 118 Avenue B. With statehood, Snohomish’s existing articles of incorporation under territorial law became invalid, so while Sylvia and Elmer got to know each other, lines were being drawn to define a larger city. Ferguson’s contentment with Snohomish continuing on as Village was not shared by the majority of voters. The tally was 360 to 21 for incorporation as a city of the third class in the election of June 16, 1890 – the same election that interrupted Ferguson’s continuous run as mayor. We imagine it was not an idyllic setting to carry on a romance, especially with the daughter of the man referred to as our “tax-dodging leader” in the press. Contemporaneous historian, William Whitfield wrote, “ For the first time in its history Snohomish enjoyed all the thrills of city politics.” And he didn’t even mention the Ferguson/Lenfest courtship. Perhaps a residue of hard feelings explains why it was not a big wedding held the following year, only “parties immediately interested” were invited. It certainly was not because Sylvia was great with child – the arrival of their only offspring, Norman, was a respectful three years off. Sylvia and Elmer became a leading couple of Snohomish, active in both civic and social affairs. Elmer died in 1938, at the age of 74, while Sylvia continued one to reach her 82nd year. It’s Sylvia we have to thank for saving and donating many papers of her father’s and of the city to the Special Collections of the University of Washington Library. Perhaps you’ll remember this story while walking against the current of the Lazy River, a surprisingly vigorous feature of the Aquatic Center, and that Sylvia lived and loved on this very spot, not so many years ago.